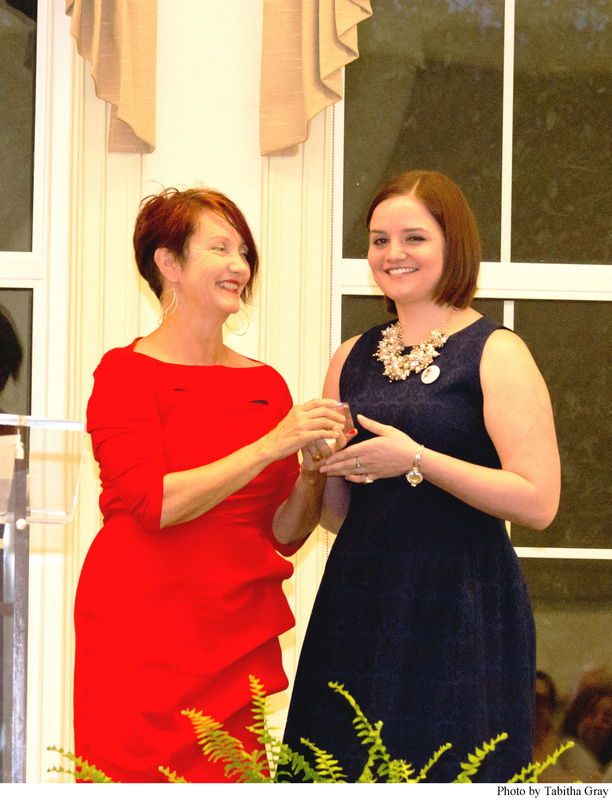 Professor of Dance Mary Williford-Shade presents Jessica Murphy with the Outstanding Master’s Student award. TWU’s Graduate Students Council distributed awards at the Pioneering Spirit Awards ceremony to recognize graduate students for their academic work, the people who have supported them and the council. 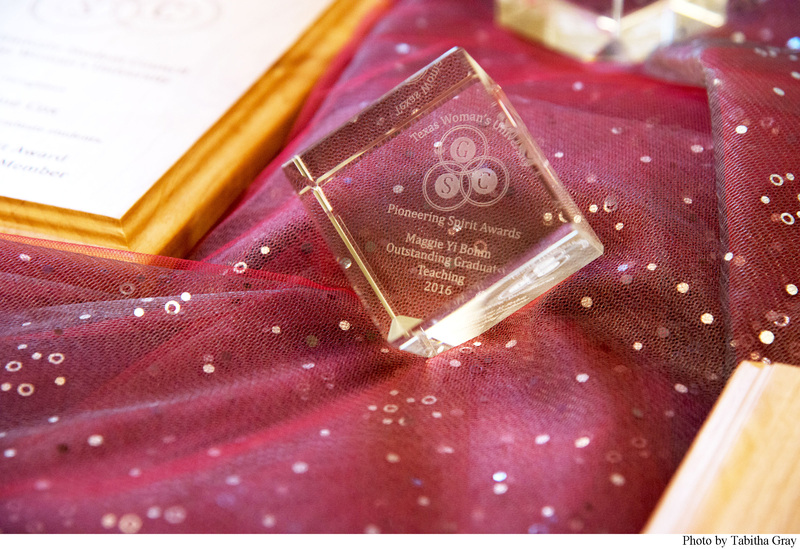 The Pioneering Spirit Awards began in 2015 and became widely popular with students. The council obtained a grant from TWU to expand the awards and in doing so added two more, the Graduate Council Award for Exceptional and Original Scholarship and the Allsup-Lane Scholarship. TWU’s dedication to seeing its students succeed can be seen in how it honors and awards students who set examples, and makes sure to exclude no group of students. TWU’s Graduate Student Council presented awards to students, faculty and staff at the second Pioneering Spirit Award Ceremony.